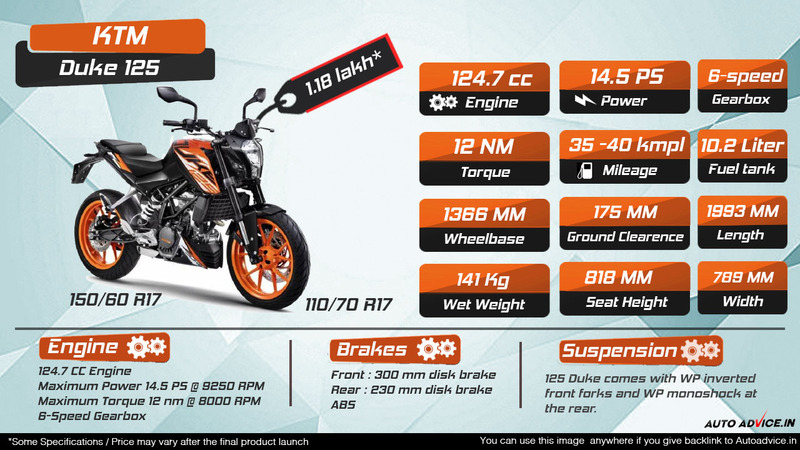 In this Infographic we explain all information about Duke 125cc motorcycle. KTM has just launched its new and cheapest bike Duke125 in India with a price range of 1.18 lakh(ex-showroom price). duke 125 is the fastest 125cc bike in India. Now young generation who dreamed about KTM now able to afford it. This bike will compete with Apache RTR200 and Pulsar NS200 Because of Same price range and Same Street naked category. although apache and Pulsar NS has a much better engine and performance the duke 125.